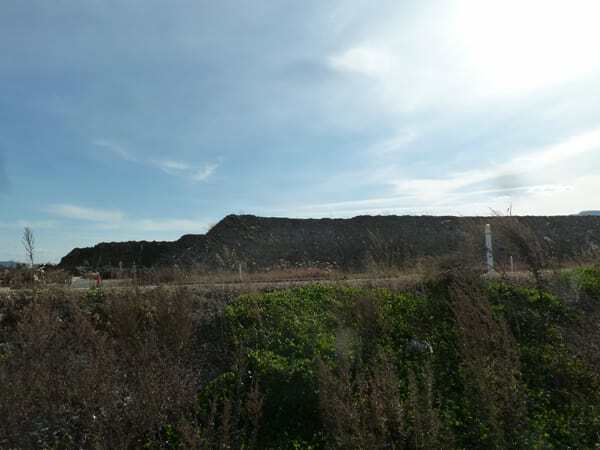 The long-delayed cleanup of the nation's most contaminated nuclear site became the subject of more bad news Friday, when it was announced that a radioactive waste tank is leaking. The long-delayed cleanup of the nation's most contaminated nuclear site became the subject of more bad news Friday, when Washington Gov. Jay Inslee announced that a radioactive waste tank there is leaking. The news raises concerns about the integrity of similar tanks at south-central Washington's Hanford nuclear reservation and puts added pressure on the federal government to resolve construction problems with the plant being built to alleviate environmental and safety risks from the waste. The tanks, which are already long past their intended 20-year life span, hold millions of gallons of a highly radioactive stew left from decades of plutonium production for nuclear weapons. On Friday, the U.S. Department of Energy said liquid levels are decreasing in one of 177 underground tanks at the site. Monitoring wells near the tank have not detected higher radiation levels, but Gov. Inslee said the leak could be in the range of 150 gallons to 300 gallons over the course of a year and poses a potential long-term threat to groundwater and rivers. "I am alarmed about this on many levels," Inslee said at a news conference. "This raises concerns, not only about the existing leak ... but also concerning the integrity of the other single shell tanks of this age." Inslee said the state was assured years ago that such problems had been dealt with and he warned that spending cuts — particularly due to a budget fight in Congress — would create further risks at Hanford. Inslee said the cleanup must be a priority for the federal government. Twenty- eight of those tanks have double walls, allowing the Energy Department to pump waste from leaking single-shell tanks into them. However, there is very little space left in those double-shell tanks today. In addition, construction of a $12.3 billion plant to convert the waste to a safe, stable form is years behind schedule and billions of dollars over budget. Technical problems have slowed the project, and several workers have filed lawsuits in recent months, claiming they were retaliated against for raising concerns about the plant's design and safety. "We're out of time, obviously. These tanks are starting to fail now," said Tom Carpenter of the Hanford watchdog group Hanford Challenge. "We've got a problem. This is big." Inslee said he would be traveling to Washington D.C. next week to discuss the problem further. Uh... billions of dollars? That's it? The Hanford Tank Waste Treatment and Immobilization Plant (WTP) is being built by none other than Bechtel. RICHLAND, Wash.–Bechtel National Inc. provided a $250,000 gift today to the Washington State STEM Education Foundation for the Delta High School capital campaign. RICHLAND, Wash. — Employees at the Hanford Waste Treatment Plant, also known as the Vit Plant, donated toys, 1,000 bicycles and nearly $20,000 in cash to the U.S. Marine Corps Reserves' Toys for Tots campaign at the construction site this morning. Marines were present to accept the donation. Richland, Wash. — The proposed planetarium at Columbia Basin College should be open for students in October thanks to a $100,000 donation by Bechtel National Inc.
RESTON, VA, August 29, 2012— Bechtel today responded to a memo that questions the company’s ability to safely design the Waste Treatment and Immobilization Plant (WTP), also known as the Vit Plant. The facility will treat 56 million gallons of radioactive waste currently stored in underground tanks in Washington state. Hanford, Washington — Earlier this month, the Department of Energy awarded the Voluntary Protection Program's (VPP) "Superior" Star to Bechtel National, Inc.'s Waste Treatment Plant Project. This is the second year BNI has received this recognition. As far as Asians are concerned, the Fukushima nuclear accident seems to have encouraged them to embark on new nuclear projects. They probably look at Japan, and say, "Well their government has said all along there is no bad effect from triple meltdowns and melt-throughs, and people don't seem to care anyway, so what's there to lose? Not much." Japan (and probably South Korea and Russia, too) would be very willing to foot the bills anyway via the loans at preferential rates and give away other goodies (some may call "bribes") to the government officials. Nikkei says it means more opportunities for the Japanese nuclear manufacturers, but the competition will be intense among Japan, South Korea, and Russia. Nikkei's estimate is the 50 trillion yen (US$535 billion) market in Asia alone, at 500 billion yen per reactor. I couldn't tell that was what it was, when I saw the title of an article at one of the local newspapers in Fukushima, but it turned out that was what it was. Go figure. Let them, at this point. After nearly 2 years, they choose to be there and choose to grow their food and eat it. "Oh we weren't told" doesn't fly any more. I hope they don't feed it to their children or grandchildren, but hope has been just that, hope. Fukushima farmers certainly do feed it to the rest of Japan, because they are victims of TEPCO and residents in big cities outside Fukushima owe it to them, in their minds. On February 19, Tohoku University will start using the new equipment to measure radioactivity in farm produce and food items without chopping them up at a monitoring center in Fukushima City. 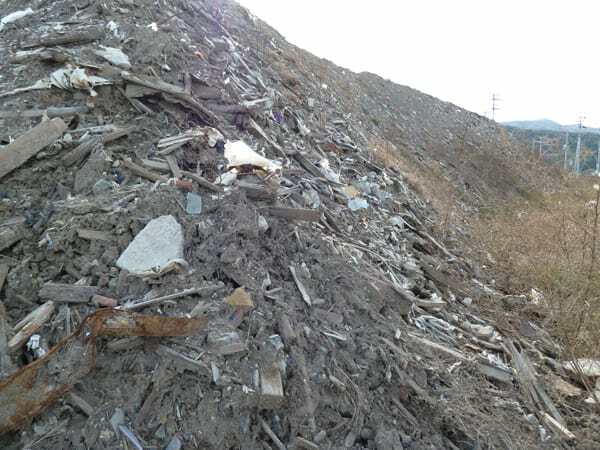 It is to respond to the residents' complaints and requests, such as "it's too tedious to chop up 1 kilogram of sample" and "I want to eat it after it's tested". The new equipment was developed by Professor Keizo Ishii of Tohoku University Graduate School of Engineering Department of Quantum Science who is also an advisor to Fukushima City on radiation countermeasures. The regular equipment has one sensor that detects radioactivity. Professor Ishii's equipment will use 7 sensors, and will be able to measure radioactivity without chopping up the samples and in small sample amounts. Farm produce and food items can be left in a basket which is then placed in the equipment, and it takes only 5 minutes to measure. The detection limit is 25 becquerels/kg, and the sample sizes can be from 0.7 kilogram to 3 kilograms. Tohoku University and Fukushima City have been collaborating on introducing this equipment. The city official in charge says, "Farm produce in small quantities, as from home gardens, can be measured, and people can take them back home. We want to use this equipment for the peace of mind of the city residents." Residents can sign up on February 18, and the measurement will start on February 19. The measurement is done from Tuesday to Friday every week. For more details, call 080(5737)1507. Peace of mind for 25 becquerels/kg detection limit. Some peace. In case you haven't figured it out, they measure radioactivity in Japan not to understand what's been going on but to feel safe. If measuring radioactivity doesn't result in people feeling safe, they don't bother measuring, which is exactly what happened in the very early days of the nuclear accident. This kind of news is definitely NOT what the anti-nuclear people (who are almost all pro-renewable energy) in Japan want to hear. My followers will most likely completely ignore my tweets on this, because to them, Spain and Germany are the role models on how renewable energy should be pushed by the national government - on the small rate payers, to save the earth. With Spain in the grips of recession, the government wants to lower consumers' light bills. In Germany, Chancellor Angela Merkel faces an election in September and hopes to win points with voters by putting a stop to rising electricity bills. The independent steps have been welcomed by German consumer groups, but have been slammed by businesses as German and Spanish politicians move to finance cuts for consumers by passing on the costs to companies. Germany subsidizes producers of renewable energy such as solar and wind power in part by imposing a surcharge on household electricity bills. As the industry has grown, demand for the subsidy increased, driving the surcharge higher. In January, the surcharge, which amounts to about 14% of electricity prices, nearly doubled to 5.28 euro cents per kilowatt hour. Large energy-intensive industries are exempted. That means ordinary consumers shoulder the lion's share of the costs for what the German government calls its "energy revolution." Fearing a voter backlash from anger over the lopsided financing of green energy, Ms. Merkel's government on Thursday proposed putting a cap on the green-energy surcharge until the end of 2014 and then restricting any rise in the surcharge after that to no more than 2.5% a year. The government also plans to tighten exemptions, which would force more companies to pay, and achieve a cut in green subsidies of €1.8 billion ($2.42 billion). The plan is a quick fix pending comprehensive reform after the election, government officials said. The proposal represents a compromise by the parties in Ms. Merkel's center-right coalition between taking small steps before the election and a more time-consuming comprehensive reform of the renewable energy law. The government now hopes to thrash out a bill with Germany's 16 states by the end of March, eliminating a potentially negative issue ahead of the election on September 22. "We need a fundamental reform of the renewable energy law, but until we get there we don't want to make people wait and that is why there is this price cap on electricity," Economy Minister Philipp Rösler said Thursday after a meeting with representatives of the states. Until now, producers have been compensated using a full inflation estimate. The government said the law will cut the costs of the country's electrical system by €600 million to €800 million a year. Uh... The renewable-energy sector has been created and heavily subsidized by legislative modifications. But never mind that. 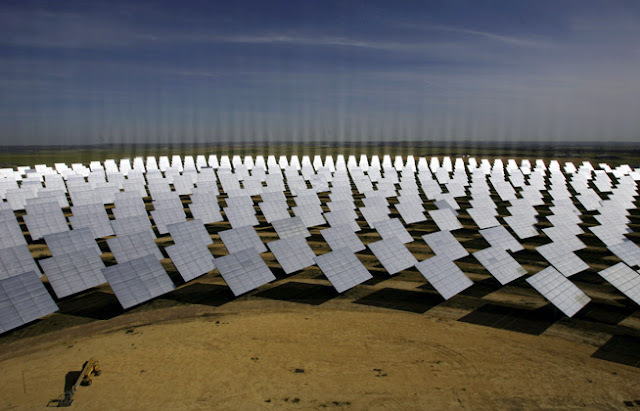 Investors from the United States, Japan and the United Arab Emirates who have invested in renewable energy in Spain are already preparing to sue the Spanish government. Fukushima I Nuclear Power Plant seems to me like the only sane place remaining in Japan these days. A town devastated by the tsunami two years ago embalms a pine tree. A 5th grader in Osaka jumps in front of an incoming train and kills himself because he doesn't want his elementary school to merge with another school. "Please stop the merger, in exchange for this little life", he writes in his last note. The anti-nuclear group that organized the protests in front of the Prime Minister's Official Residence every Friday last year (well, they are still doing it, though the attendance has dwindled) attends at a symposium on defending Japan against China and Korea. Same people who freaked out about thyroid cancer before are freaking out again about thyroid cancer, while hardly any of them protest against the circulation of contaminated food. A 55-year-old elementary school teacher kicks an 11-year-old 5th grade boy in the lower abdomen, and the boy suffers injuries that take two weeks to heal. The police decides not to press charges, because the teacher says he is sorry. Ms. Yoshiko Sakurai, who said "It's the national government's responsibility to say that up to 20 millisieverts/year is safe for adults, and 10 millisieverts/year is safe for children", is one of people selected to the Central Council for Education under the Ministry of Education and Science. All in about half a day of news collection that I did today. Workers drilled a hole through the 1st floor concrete on February 13 and 14. And unlike in the Reactor 2 torus room the other day (1/28/2013), there was no unexpected pipe blocking the way. The atmospheric dose level on the 1st floor before the drilling was 1 millisievert/hour. After the drilling, the radiation went up to 2 millisieverts/hour right above the hole, at 1.2 meters off the floor. At the hole, the radiation was 10 millisieverts/hour, and at the end of the hole through to the torus room, it was 210 millisieverts/hour. TEPCO says the investigation will proceed, now that they've found out that the radiation level didn't change much before and after. The radiation levels inside the Reactor 1 Containment Vessel, measured in October last year, were 4.7 to 11.1 sieverts/hour (or 4,700 to 11,100 millisieverts/hour). The white dot in the dark in the photo must be the reflection of the camera light on the water. The atmospheric dose level in the Reactor 2 (about the same location) was much higher, at 4 to 8 millisieverts/hour. Embalming the dead is so unlike Japanese, and maybe that's why I find this endeavor by Rikuzen Takata City officials strange. The tree, before it was cut down, looked like this. 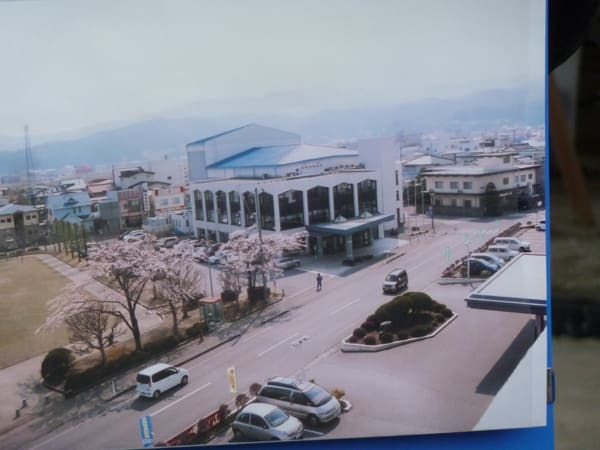 The miracle lone pine of Rikuzen Takata City was the only pine tree that survived the tsunami in Takata Matsubara that had had 70,000 pine trees, but it was later found to have been dead. In order to preserve it as a monument, it was cut down in September last year. To restore the tree, the core was removed from the tree and replaced by carbon rod in a factory outside the prefecture. On February 12, the work to place the treated trunk back to where the tree had been standing started in earnest. Installation of the bottom part of the trunk, about 4.5 meters in length, started at about 9:30AM on February 13. It was lifted by a crane, and the workers carefully placed it in the concrete foundation. 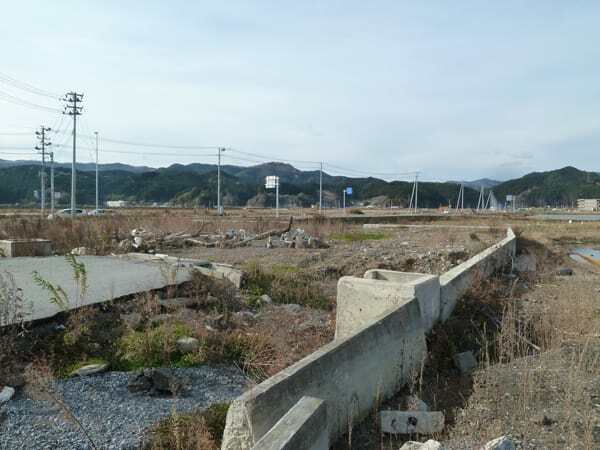 Yoshihisa Suzuki, chairman of the local "Takata Matsubara preservation association", said, "To see the lone pine return as an artificial monument, I have a mixed feeling. But I want it to give courage and hope to the disaster victims." Next month, the work will be done to connect the remaining trunk and branches and leaves that are recreated using special resins. By the second anniversary of the disaster on March 11, the tree will be restored to its original form. 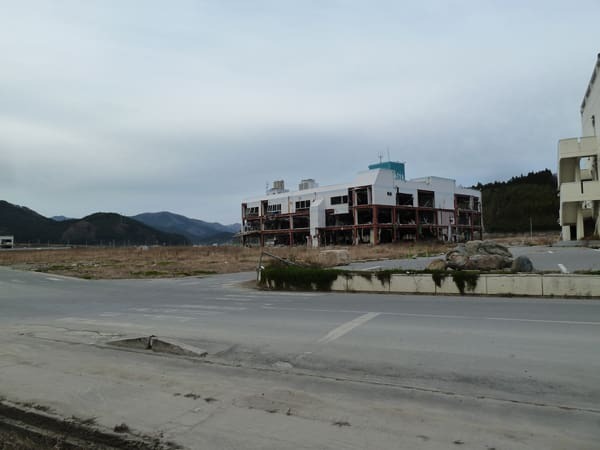 After nearly two years, Rikuzen Takata still look like this, and the residents want to embalm a pine tree to give them hope. Photos are from this blog, as of December 2, 2012, as the author of the blog visited Rikuzen Takata. The blog author asks, "What has the government been doing? What have we been doing since March 11, 2011, to leave the city like this?" This is hilarious and infuriating at the same time. The Japanese government HID the simulation data of SPEEDI and WSPEEDI from the citizens right after the March 11, 2011 start of the nuclear accident, because, as they put it, "(It's so bad that) we can't release it to the general public." Hardly anyone in Japan knew about WSPEEDI until Professor Toshiso Kosako tearfully spoke about it during his resignation press conference at the end of April 2011 and urged the government to disclose it. It wasn't until May 2011 that Ministry of Education very quietly posted the SPEEDI data and WSPEEDI data on its website, without any fanfare. But as soon as bad and evil North Korea detonated a nuke bomb underground, all government agencies are on top of each other trying to outdo others in disclosing their latest measurements and forecasts. They include Japan Meteorological Agency which banned the agency's researchers to make any radiation measurements or say anything about radiation publicly right after the start of the nuclear accident. Here's Ministry of Education, extremely quickly releasing (2/12/2013) the WSPEEDI simulation result from the possible fallout (what a joke) from the nuclear testing, using iodine-131 and assuming there was a release (which is very unlikely). The top is for surface level, the bottom is for an altitude of 1,000 meters. In the meantime, the pork-cutlet-over-curry-rice prime minister believes it is within the definition of "self defense" to attack military installations of a hostile foreign nation and that it is allowed by the current Constitution. All major news outlets in Japan are busy making a big deal out of the North Korean bomb testing, without shame. They believe Obama's State of the Union address mentioned the incident in a big way. Smallest words: manufacturing, growth, rate, states, agree, world. "Let me repeat – nothing I’m proposing tonight should increase our deficit by a single dime." And from USA Today, social media users' response to SOTU: Screwed. Decon workers dispatched by Fukushima City used a blowtorch to melt snow in order to decontaminate a house. Instead of decontaminating, they managed to burn down the entire house. Blowtorch?? Yes, decon contractors are free to use any method, including blowtorch, as there is no rule or regulation as to how they are supposed to remove snow in the decon manual. Why they are doing this decon stuff in the snowy winter is a mystery to me. At 10:40AM on February 9, there was a fire from an uninhabited house in Hamada-machi in Fukushima City. The fire burned down the single-story wooden house of about 176 square meters. The fire was extinguished about an hour later, and there was no injury. According to the city, workers were using a blowtorch to melt the snow in the city-ordered decontamination work in the yard of the house. The Fukushima local police is carefully assessing the situation. 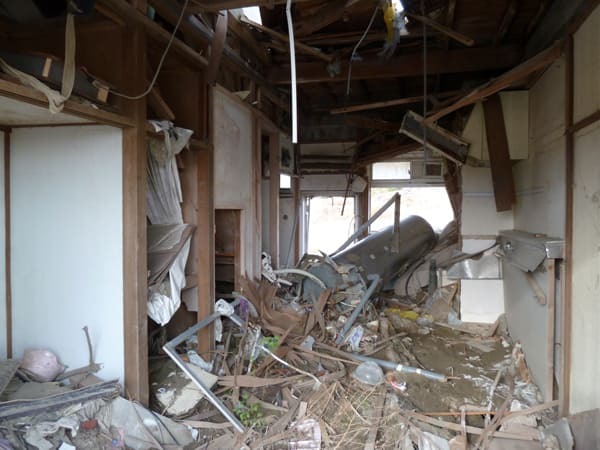 According to the police, the house belongs to Ms. Shizuko Onuma (age 62), a restaurant owner in the city. The house is in a residential area along the Route 4. There is a kindergarten 50 meters from the house, and at one point 8 kindergarteners were evacuated. There is no regulation as to how to remove snow as part of the decontamination work. The city is asking the contractor for details. The photos were taken on February 10, 2013, from a Kyodo News helicopter at an altitude of 1,500 meters. For the first time, the government allowed the aerial photographs within 3 kilometers of Fukushima I Nuclear Power Plant as long as the altitude is 1,500 meters. At the end of the article, Sankei says that at about 3 kilometer south of the plant at an altitude of 500 meters the radiation level inside the helicopter was 2.5 microsieverts/hour, but the radiation level inside the 3-kilometer radius at an altitude of 1,500 meters hardly registered at all. SEOUL (Reuters) - Seismic activity has been detected in North Korea with an earthquake measuring 4.9 magnitude registered by the U.S. Geological Survey, in a move that South Korea said indicated that Pyongyang had carried out a third nuclear test. North Korea is not prone to seismic activity. The USGS said the epicentre of the quake, which was only one km deep, was close to the North's known nuclear test site. The reclusive and isolated state, which is banned under United Nations Security Council resolutions from developing nuclear and missile technology, did not issue a statement and it was impossible to verify that it was a nuclear test. US Treasury: "US supports Japan's efforts to reinvigorate growth and end deflation"
- G20 needs to deliver on commitment to move to market-based exchange rates and refrain from competitive devaluations. - G7 "very committed" to market-determined and floating exchange rates except in rare circumstances. - Downside economic risks have eased but global growth weak and still vulnerable. - In immediate reaction to the comment that US support Japan's efforts, the USD/JPY moved 22 pips higher from 93.46 to session highs at 93.68. The Group of Seven nations are considering saying they won’t target exchange rates when setting policy as they try to calm concern that the world is on the brink of a so-called currency war, two officials from G-7 countries said. ...Japanese Prime Minister Shinzo Abe’s push for more aggressive monetary policy has raised concern abroad that his government is directly seeking to weaken the yen, something it denies. Japan has been criticized for driving down the yen by officials from South Korea to Russia in the run-up to the G-20 meeting. Abe administration officials have said that they are focused on ending deflation, rather than seeking a specific level for the yen. "Rather than seeking a specific level for the yen". It's because they are not seeking any level anywhere near where yen is at right now. My guess is that they want the level that existed before the Plaza Accord (250 yen per dollar or so). Good luck achieving growth in real economy by monetary means, aka (digital) printing press. In case of Abe, so far it's nothing but words, not even the digital printing press, that has cheapened Japanese yen from 76 yen per dollar to 93 yen in a matter of 3 months. Even that didn't help Japanese companies like Sony, who posted another loss quarter and plans to make money by selling real estate. Afghanistan, Pakistan, Yemen, Mali come finally to the US mainland. that the search for Dorner is now the first official drone-hunt in US history. 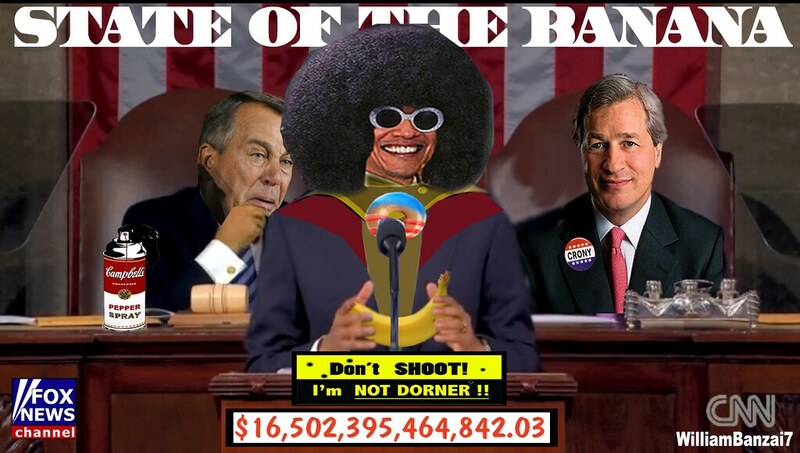 And once Dorner is found by remote-control, it will be again up to drones to secure his "elimination." If for no other reason than to perform a ground test of just how the recently enacted drone-facilitated extermination of US citizens sits with various instances of the US judicial system.